Buried Treasure Fossils offers Tyrannosaurus rex teeth for sale. 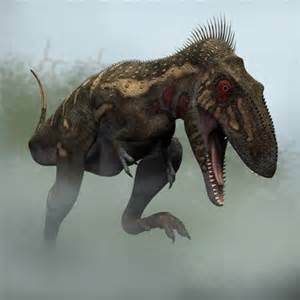 Tyrannosaurus rex or "tyrant lizard" was the infamous apex predator of the late Cretaceous period. This monster reached lengths of more than 40', stood 13' tall at their hips, and reached weights approaching 7 tons. Their teeth reached lengths of 12" including the root. T. rex teeth have been referred as "banana teeth" by the renowned paleontologist Bob Bakker, curator of the HMNS. 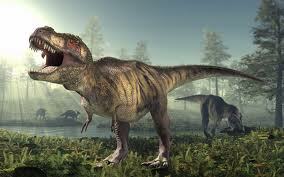 The T. rex teeth are round or or close to round to withstand the massive bone crushing bite force exerted (up to 10,000 lbs), the greatest bite force of any land animal. A must have item for dinosaur collectors. Fossil remains in teeth, bones, and claws. All of which are very rare and extremely difficult to locate. These top quality specimens were all legally collected from private lands in the northwestern US. Late Cretaceous, Hell Creek Fm. (or equivalent), 66 MYA. Authenticity guaranteed. If you think that only paleontologists and museums can own T Rex teeth, do think again. If you have the interest and the wherewithal, you, too, can claim ownership of a fascinating and authentic dinosaur tooth. Not only was Tyrannosaurus Rex one of the most massive carnivorous dinosaurs ever discovered, but the massive beast has also received more media coverage than most other extinct giant reptiles. The star of “Jurassic Park” and other thrilling movies, the short-armed reptilian predator is believed to have been quite vicious. Alternately known as 'the king of the dinosaurs,' T. Rex had teeth that could easily crush and mangle their prey, explains LiveScience magazine. T. Rex wasn't formally named until 1905 when paleontologist Henry F. Osborne had the honor of naming the legendary beast. The name Tyrannosaurus Rex means something akin to tyrant lizard king. Stand next to a skeleton of a T. Rex, and you'll know what it means to feel very, very small. Customers who purchase T Rex teeth from Buried Treasure Fossils may be interested to know that the dental artifacts they will receive come from enormous animals that roamed North America for more than a million years. The long-ago reign of the lizard king extended from what we now know as Canada to Texas. Some scientists believe the species came from the Asiatic region even longer ago than that because a Tyrannosaur fossil was found in Mongolia, but most T Rex teeth and fossils have been unearthed in Wyoming, Montana, Utah, Texas, and Saskatchewan. If mammal fossils interest you, be sure to bookmark our catalog of ancient dolphin and whale teeth. Budding paleontologists will want to know more about our affordable collection of trilobites and smaller fossils. Over time, a love of fossils may well lead to an eventual purchase of authentic T Rex teeth, too. Want to see a T. Rex up close and personal? You will get your chance to view the Wankel T. Rex skeleton when the Smithsonian Dinosaur Hall reopens in 2019. At nearly 85 percent complete, the 65-million-year-old skeleton weighs in at a whopping seven tons and spans almost 40 feet from nose to tail. On loan from the Museum of the Rockies in Bozeman, Montana, the national museum will display the massive fossil for the next fifty years, according to Smithsonian magazine. 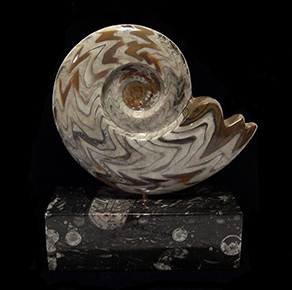 Fossil collection is a worthwhile hobby that never gets tiresome. In the world of fossils, there are new discoveries every week. In fact, we're now living in the golden age of dinosaur discovery, so watch our page for newly obtained T Rex teeth and other amazing artifacts. A Big, Top Quality Tyrannosaurus rex tooth from an adult Rex. A March 2019 Fossil of the Month. This Rex crown measures 3" and is very thick for its size (1-3/8"). The enamel is high quality. Great rich chocolate brown color. Excellent serrations on the anterior and posterior sides. There is a wear facet at the tip which is typical for a adult tooth and another on the side from opposing teeth wear. No crack or break. No repair or restoration. A 100% natural tooth! Fantastic overall condition with incredible serrations for a large Rex tooth. An excellent tooth! T-Rex was the apex during the late Cretaceous with massive teeth capable of crushing its prey. See the detailed description to determine how to tell a real T-Rex tooth! Legally collected on privately deeded land in the Hell Creek Fm., Powder River Co., Montana. Authenticity guaranteed. Note - a Riker frame is included. A Top Quality Tyrannosaurus rex tooth. This is a large Premaxillary tooth ("Premax") or front tooth in the jaw which have a "D" shape. This Premax Rex crown measures 2-3/16" and is very thick for its size (1-3/16"). The enamel is high quality. Great rich chocolate brown color. The serrations are very good with some damaged serrations towrad the tip. There is a wear facet at the tip which is typical for a Premax tooth. No crack or break. No repair or restoration. A 100% natural tooth! Fantastic overall condition with incredible serrations for a large Premax Rex tooth. An excellent tooth! T-Rex was the apex during the late Cretaceous with massive teeth capable of crushing its prey. See the detailed description to determine how to tell a real T-Rex tooth! Legally collected on privately deeded land in the Hell Creek Fm., Carter Co., Montana. Authenticity guaranteed. Note - a Riker frame is included. An Ultra Rare EXTRA LARGE, Top Quality Tyrannosaurus rex tooth. Another August 2018 Fossil of the Month. This Rex crown measures 4-1/2" (straightline) and is thick (1-9/16") - a massive Rex tooth. The enamel is very high quality and a rich dark brown color. Good posterior and anterior serrations with a small amount of natural tip wear. An extra wide base. This is a big and heavy tooth. Note - this tooth was cracked in a freeze cycle as evidenced by the cracks in the top half of the tooth. The preparator did a exceptional job prepping this tooth and it is rock solid now. A small area of the cutting edge was rebuilt about midway on both the anterior and posterior sides (see final photo). Excellent overall condition for a big Rex tooth. A incredibly rare & special tooth! T-Rex was the apex during the late Cretaceous with massive teeth capable of crushing its prey. See the detailed description to determine how to tell a real T-Rex tooth! Legally collected on private land in the Hell Creek Fm., Faith, Harding Co., So. Dakota. Authenticity guaranteed. Note - Riker frame included. The largest T-rex tooth (crown) that I have offered! Top quality Rex teeth over 4" are the holy grail of the dinosaur collecting world. You just can't find quality 4"+ teeth at any price. A Top Quality Tyrannosaurus rex tooth. This Rex crown measures 2-1/4" and is very thick for its size (7/8"). The enamel is high quality. Great rich dark brown color. Excellent serrations that are near complete all the way to the tip on posterior side - rare. One wear facet on the crown from tooth wear. One crack which was stabilized. No repair or restoration. A 100% natural tooth! Fantastic overall condition with incredible serrations for a teenage Rex tooth. An excellent tooth! T-Rex was the apex during the late Cretaceous with massive teeth capable of crushing its prey. See the detailed description to determine how to tell a real T-Rex tooth! Legally collected on private land in the Hell Creek Fm., Garfield Co., Montana. Authenticity guaranteed. Note - a Riker frame is included. An ULTRA RARE, Top Quality 5-7/8" Tyrannosaurus rex tooth with root. This crown measures 2-1/4" and is root thick (1-1/2"). The crown and root enamel has very good color and patina. Serrations are worn and there is some enamel peel. 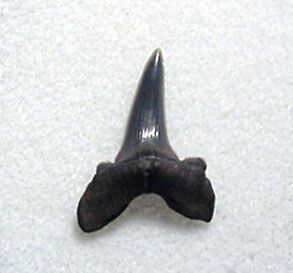 Tip end is worn round which is very typical with adult Rex teeth. Several cracks in the crown were filled and stabilized. The root has no hydration cracks - incredible quality. You will not find a better quality root! A top quality, massive Rex tooth from an adult T. Rex. T-Rex was the apex during the late Cretaceous with massive teeth capable of crushing its prey. See the detailed description to determine how to tell a real T-Rex tooth! Legally collected on private land in the Hell Creek Fm., Garfield Co., Montana. Authenticity guaranteed. You will rarely see an adult rooted Rex tooth! Note - Riker frame included. An EXTRA LARGE, Top Quality Tyrannosaurus rex tooth. This crown measures 3-11/16" and is thick (1-1/4+"). The enamel has excellent color and patina. Exceptional anterior and posterior serrations. The serrations are very big and blocky. 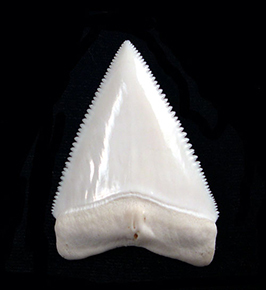 Tip is round - very typical with adult Rex teeth. Several small hydration cracks were stabilized. A top quality, massive tooth from an adult T. Rex. T-Rex was the apex during the late Cretaceous with massive teeth capable of crushing its prey. See the detailed description to determine how to tell a real T-Rex tooth! Legally collected on private land in the Hell Creek Fm., Powder River Co., Montana. Authenticity guaranteed. Note- Riker frame included.